Championship. 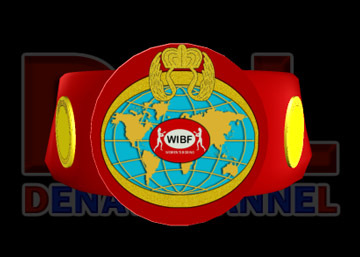 My name is Griffy and I will offer the colour commentary for the BBC fight fans for this evening’s program. gracefully down the aisle to the ring. with the elegance of a queen. down. When directed to do so, the two women extended their gloved fists for the traditional handshake. left jab that was caught in the right palm of Miranda’s glove. Throughout the opening period, Trix assumed the role of aggressor; using strong punches to knock Miranda back toward the ring ropes. She fired a powerful right hand punch that split the gloves of her foe blasting Miranda’s head painfully to the side. Miranda charged across the ring on the attack as round two started. Firing several lead jabs to create an opening through Trix’s defence. When she saw the opportunity she rifled a ram rod straight right jab that crushed the nose of the red-head. gloved defence exploding against her head with stunning impact. How much more of this pounding could she take? "The Fitness Queen" displayed her fighter’s heart when she opened round three with a blistering bombardment of potent haymakers. for the abuse she suffered in round two. to pummel the brunette back toward the ropes. the momentum swung in a round that was too close to call. of her foe from unfamiliar angles. Miranda was struggling to defend against this new offensive strategy. As the two damsels were battling near the end of the fifth frame, twin left hooks launched by each fighter arrived at the same time. Both blows landed powerfully to their face. Each woman’s head jerked up and back as they were temporarily frozen in shock. It nearly caused a double knockdown and was a thrilling finish to this hard fought round. the painful impact of these gut busters. she cringed in pain from the assault of her adversary. to the head were particularly effective in the early moments of the round. she moved inside the punch to deliver her shorter, quicker hooks before the champion could defend herself. would call on both women pull forth every resource within them to claim the victory. It would become a battle of will and determination. As the Hooters Round Card girl displayed the sign for the coming ninth round, the fighters prepared themselves for the final round. to last round of this very tough match. avenues of attack for her tagalong power shots. Miranda could not retaliate with meaningful counters. Corralled in a neutral corner near round’s end, Miranda wrapped her arms desperately around her assailant’s head. so she could gain her freedom from this entrapment. With just two-minutes remaining in this championship contest, the defending champion came out determined to knock her opponent out. bell sounded. At the end, she walked unsteadily back to her corner. 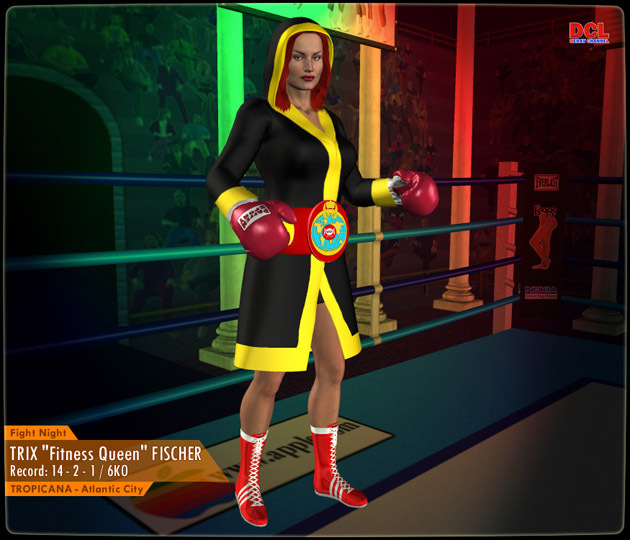 Trix Fischer was the unanimous decision victory over a dazed and disappointed Miranda Morales who had fought gamely in a losing cause. posed for media and fans eager to record this memorable event. The confrontation certainly lived up to its anticipated grandeur.